There was an interesting article in Fresh Fruit Portal this week on the changing consumer buying habits in the grocery segment. These trends include middle class shoppers purchasing more in low-price grocery stores, making careful lists, paying more attention to circulars and ads prior to shopping and buying more generic products. The great news for our industry is that berry consumption is on the rise - especially blueberries with a 5.4% increase. 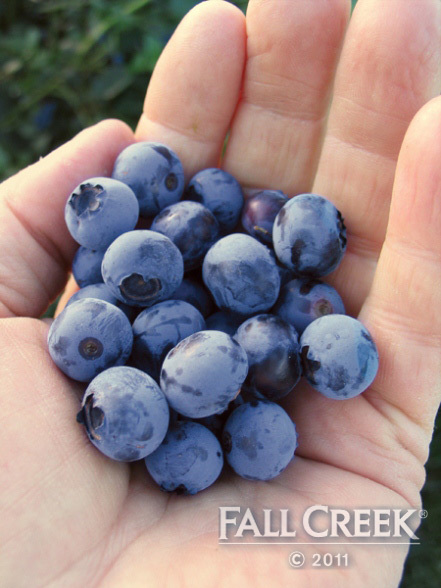 Fall Creek's Cort Brazelton made this observation, "In a down economy produce consumption continues to increase and blueberries lead the pack. Additionally, market penetration of blueberries continues to increase as we leave our position as a niche crop and increasingly become a 'must have' commodity."